I just happened to be there for lunch and came across this interesting stall offers Ampang style Fishball Noodle. 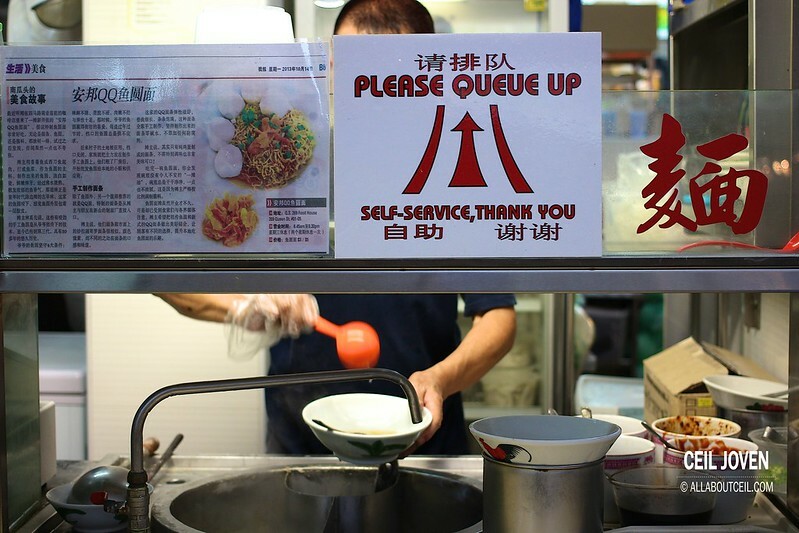 It was slightly after 2 pm so no queue is spotted. I went ahead to order a small portion of noodle at $3. A bigger portion is available at $5. 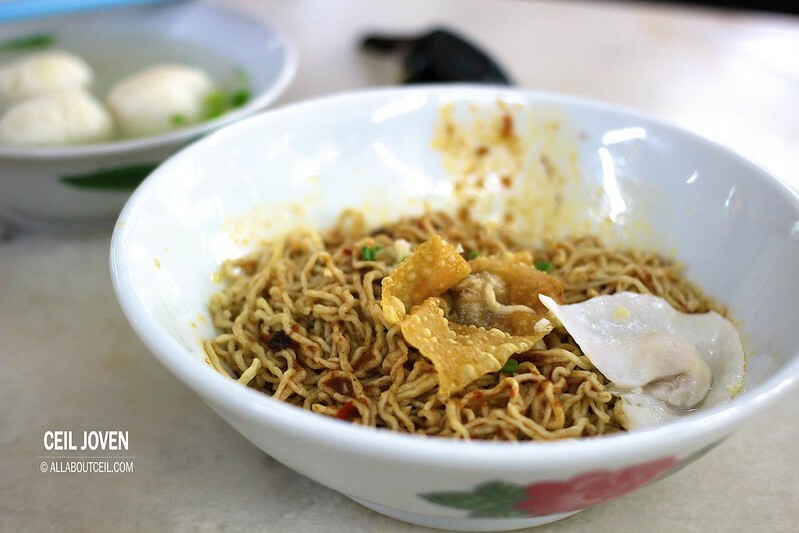 It served with a substantial portion of noodle together with a piece of fried wanton and a fish dumpling and it accompanied with a bowl of soup with 3 handmade fishballs in it. The noodle somewhat reminded me of Kolo Mee. The texture was extremely springy with a delightful chewiness. 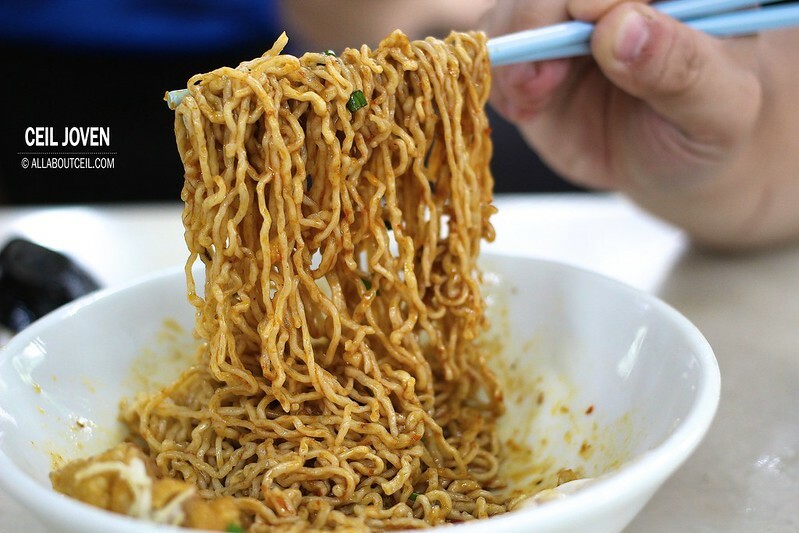 The owner has specially custom made the noodle from a factory at Johor Bahru. It is made from purely egg and supposedly to be tasty enough to eat it by itself. The sauce mix for the fishball noodle was rather unique too. It tasted quite different from others. 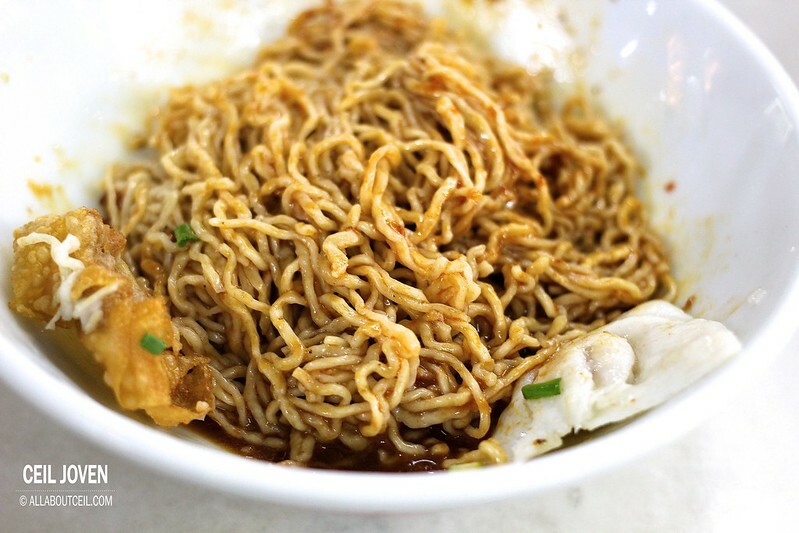 It has got a well-balanced taste of soya sauce and a distinctive level of spiciness. 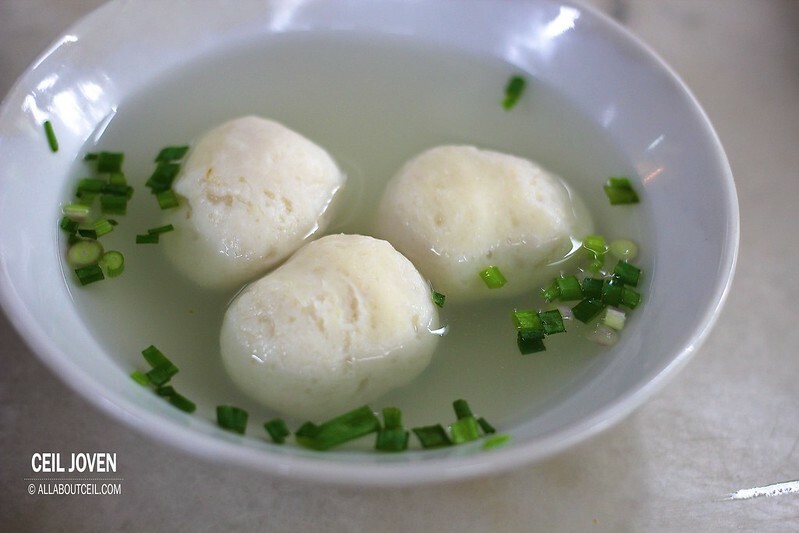 The fishballs have got a noticeable bounciness and springy texture. 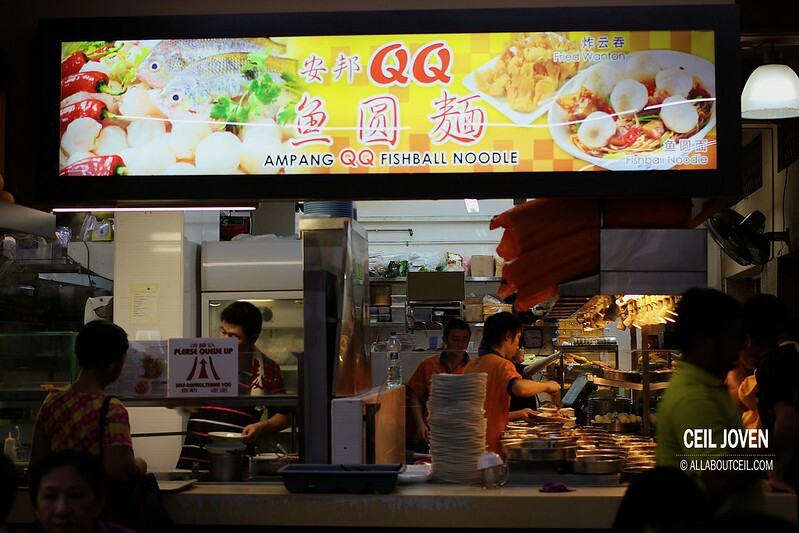 These fishballs are handmade daily from Wolf Herring or commonly known as Sai Toh Fish and also Yellowtail Snapper. The fish paste was obtained from scraping and mincing the flesh and shaping them into those old school tasting fishballs using the recipe that passed down from the Grandfather of the owner. UPDATED [10 January 2014] : This stall is probably has already closed down. 269 Queen Street #01-05 Q.S. 269 Food House SINGAPORE 180269.